Finally, what you monsters all been waiting for. 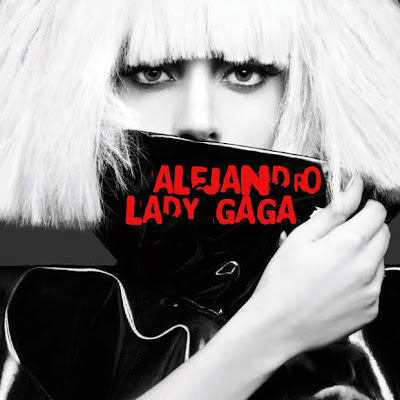 The video for “Alejandro”. Lady Gaga has drove me insane with this song but it’s a shoutout to her gay fans and I support it. Enjoy! Lady Gaga was interviewed last night on CNN’s Larry King Live and she opened up quite well to Larry about her personal issues, fans, and even Michael Jackson. I remember her talking about her resemblence to Madonna and I couldn’t agree with her more. What hit home for me was the question about Lupus? She was recently tested for it and her fans wrote in to ask her if she has it? This was here answer. ok, so kudos to Lady Gaga for keeping up with the most powerful woman in the music industry herself, Beyonce. I love the video! what about you? There is much rant and controversy with the whole “Kanye West vs. Taylor Swift” but do you guys see LADY GAGA?! Lady Gaga graced the VMA’s with her creativity. As the cameras were panning through the crowd she stood out like a sore thumb. I couldnt understand, but I soon found out that she was in act the whole time. She wore this odd masquerade ball outfit that did NOT compliment her body at all, as she set patiently in her seat waiting for her time to shine. Lady Gaga’s performance was probably one of the best highlights of the evening. The eye-popping, blood and gory inactments, is what made her stand out, let alone her costumes played a big role in her performances as well. She sang “Paparazzi” and “Pokerface” as the crowd stood in amazement. After winning Best New Artist, Lady Gaga appeared on stage with a lacey red outfit that covered her face. In her acceptance speach she made a statement that left my mind awkward. “I want to thank God and the Gays” Now, there has been many speculations of Lady Gaga being gay or a hermaphadite. Even so, she was also made one of the jokes of the evening. It still makes me wonder, but either way Lady Gaga is fabulous and shows true SELF EXPRESSION.